Over the past several months, we have seen the emergence of wireless activity trackers. Some of these devices just measure walking distance during a given day. Others will do that, plus monitor sleep patterns and provide tips to improve your sleep and encourage you to set activity or fitness goals. For those that have intrigued by these devices and how they synchronize with apps on iOS and Android devices, the iOS apps had a lot more functionality because of easy access for apps to use Bluetooth 4.0. Android as an operating system does not inherently allow apps to access the Bluetooth 4.0 chips. However, with active lifestyle folks do not only use iOS devices, and as we all know, Android as an ecosystem dominates the marketplace. The folks at Fitbit have been busily offering neat, unobtrusive ways to allow people to monitor their activity, set goals for healthier habits (including sleeping) and has a full spread of devices in the works to use with their Android app. Not only to the apps track your activity, but the apps will interact with other programs you might use, like Run Keeper, or Map My Fitness. The Fitbit app for Android will track your activity, weight, food intake, sleep and provide you with an overall assessment along with recommended goals to make improvements. The app can work as a stand-alone feature, but when paired with the little accessories Fitbit makes to complement the activity tracked by the app, things get pretty interesting. When paired with the Fitbit Zip ($59), the app will wirelessly sync even when it is in the background. That way when you open the app, you are presented with a real time activity against other data you log (such as the amount of walking versus calories consumed). Fitbit One ($99) does the same thing, but also adds measuring of your sleep cycle and synchronizes that activity with the app. Coming later this spring, the Fitbit Flex incorporates everything the Fitbit One does, but like Jawbone’s UP, it stays on your wrist and is meant to be “constant companion.” The Flex is expected to cost about $99 and will come in a variety of colors as one would expect. The update to the app includes UI enhancements and graphing for historic data. However the enhancements allowing for Bluetooth 4.0 synchronization is currently available only for the Samsung Galaxy S III and Galaxy Note II. Fitbit promises support to other devices in the future. In the meantime, if you are an active health nut, or want to be (or need to be), Android users have a pretty in-depth option with this updated app from Fitbit. Images of the app, as well as information about the Fitbit Zip, Fitbit One, and Fitbit Flex are below. The app is free in Google Play and works by itself too. You can get it here if you want to take it for a spin. The Flex is meant to be your "constant companion," tracking levels of activity, how you sleep and will even wake you up if you wish. The module can be switched between different colored bands as well. The Fitbit Flex will be released this spring, and can be pre-ordered for $99. The Fitbit One is basically a pocket version of the Flex, tracking activity and works to set goals to achieve. It is available now for $99. The Zip is a high-tech pedometer, showing steps taken, distance traveled and calories burned. It is available for $59. SAN FRANCISCO, Calif., February 12, 2013 — Fitbit, the leading innovator and market leader in the growing Connected Health & Fitness category, today announced that Fitbit One, Fitbit Zip, and Fitbit Flex wireless activity trackers will now sync directly with select Samsung devices through the newest Fitbit Android app. Because the Fitbit App adds Bluetooth 4.0 syncing, you can see your Fitbit dashboard updated in real-time, receive motivating notifications, and engage in fitness competitions with friends all on your Android device. Since your data syncs throughout your day, both at home and on-the-go, it's easier than ever to make fitness a part of your everyday lifestyle. Fitbit is on the forefront of mobile accessibility, initially as the first and only company in its category to offer an Android app, and the only to offer Bluetooth 4.0 syncing for iOS devices, Fitbit is now the first and only to offer Android Bluetooth 4.0 syncing. Fitbit continues to invest in multiplatform mobility. This updated Android app joins Fitbit’s iPhone, iPad and Microsoft Surface Tablet apps that essentially turn your smartphone or tablet into your dashboard, giving you access to Fitbit’s rich graphs and tools (leaderboard, badges, etc.) when you’re on the go to keep you motivated throughout the day. The Fitbit app for Android is available for the Samsung Galaxy SIII and Samsung Note II, with more devices to come. Fitbit’s app is now available in the Google Play marketplace and for all international markets. Also, new to this Android app update is NFC compatibility, making the app even easier to use with the upcoming Flex, available this spring. Simply tap your Flex band on your Android phone and it will automatically launch the Fitbit Android app. Your fitness stats from Flex, which seamlessly sync throughout the day, will be immediately at your fingertips. Fitbit continues to build out its lineup of easy-to-use products that help people get more fit with the recent debut of the Fitbit Flex Wireless Activity + Sleep Wristband at CES 2013. Flex follows on three successful Fitbit product launches last year: the Fitbit Aria Wi-Fi Smart Scale, Fitbit Zip Wireless Activity Tracker and Fitbit One Wireless Activity + Sleep Tracker. Fitbit products are carried in over 10,000 U.S. retail stores, and sold internationally in Canada, Spain, UK, France, Germany, Australia and New Zealand. Founded in 2007 in San Francisco, Calif., Fitbit is dedicated to designing tools and experiences that fit seamlessly into people’s lives. Fitbit offers the insights and encouragement to make smart choices and to see how small, everyday changes add up to big results. The Fitbit Zip and Fitbit One are the leading wireless fitness trackers in the market, while its Aria Wi-Fi Smart Scale is a top-selling connected weight scale. Fitbit has distribution at leading U.S. retailers such as Apple, Amazon, AT&T, Best Buy, Brookstone, Radio Shack, REI, Verizon and Target. Fitbit products are sold in the U.S., Canada, the EU, New Zealand and Australia. Fitbit is funded by the Foundry Group, True Ventures and SoftTech VC. 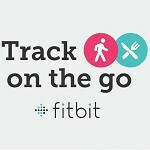 For more information please visit www.Fitbit.com or connect with us on Facebook or Twitter.